Knoco stories: Who pays for KM activity; you or your clients? Who pays for KM activity; you or your clients? We are often asked by clients with a strong time-writing culture - who pays for Knowledge Management activity? 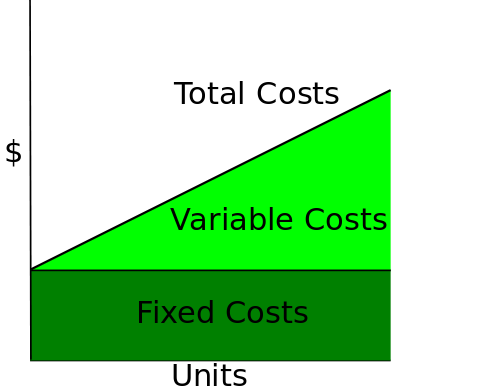 What are the principles of KM cost allocation? Imagine an organisation which provides services to clients, and which needs to time-write activity on an hourly basis. Can they charge Knowledge Management activity to the client, or not? The answer is that it depends on the activity, and that there are three cases. The knowledge management team (the ones who maintain and manage the knowledge management framework itself) do not timewrite to clients or projects, but are counted within the overhead of the firm. They represent a fixed rate overhead to be shared across projects, the same as the HR department, IT department, office costs, telecoms costs etc. The KM team need to be able to reassure the senior management that their costs are the minimum possible to deliver the maximum benefit to the organisation, and that their efforts improve the ability of the organisation either to win more work, to charge higher rates (reflecting the better access to knowledge), to work more efficiently, or to place junior staff in more senior roles (while also providing them with the knowledge needed to do the job). This last approach is the one used by the big consulting firms. People with functional KM roles such as technical experts, practice owners, community of practice leaders and so on, may sometimes time-write directly to projects when they are working on problems or issues directly related to the project, at the request of the project manager. The rest of the time they could either be part of the shared overhead, or could be an indirect cost spread across certain types of project. The functional expert and community leader for rail tunnel technology, for example, could be an indirect shared cost across all rail tunnel projects. They need to be able to reassure the senior management that their costs are the minimum possible to deliver the maximum benefit to the rail tunnel projects, and that their efforts improve the ability of the organisation to either win more business, charge higher rates, work more efficiently, or place junior staff in more senior roles. Project level KM activities, undertaken by the project staff and directly related to that project, should be timewritten to the project and passed on to the client. These will be activities such as KM Planning, Knowledge gap analysis, Peer Assist, After Action review, and Retrospects/Lesson capture meetings. You already see this in software development projects, where reflection such as scrums and retrospects are built into the agile process. The organisation needs to be able to reassure the client that these KM processes are essential to delivery of a high quality product or service, and that your company reputation for delivery of knowledge-based services relies on you treating knowledge as a precious asset. This conversation with the client has to be done up front. A combination of these principles should allow you to allocate all KM costs.